This interesting and picturesque country can offer more than magnificent nature. Travelers will find here unique architectural and historical monuments, interesting authentic traditions and hospitality. Commewijne remains the most famous region in the country. It's a great place to see old plantations, beautiful mansions and buildings of the colonial era. Quite an interesting fact - many plantations keep working even nowadays, despite the fact that they are several hundred years old. Travelers are welcome to attend an excursion to the piedmont region or visit one of cosy fishing villages. Johanna Margaretha, Margrita, Pomona, Bakkie and Rust en Werk are among the most famous and authentic settlements in the country. Here travellers will be able to get acquainted with local lifestyle, rent a boat and fishing tools. The ancient city of Braamspunt is located to the west from Commewijne. An ancient fort remains the main landmark of the city. 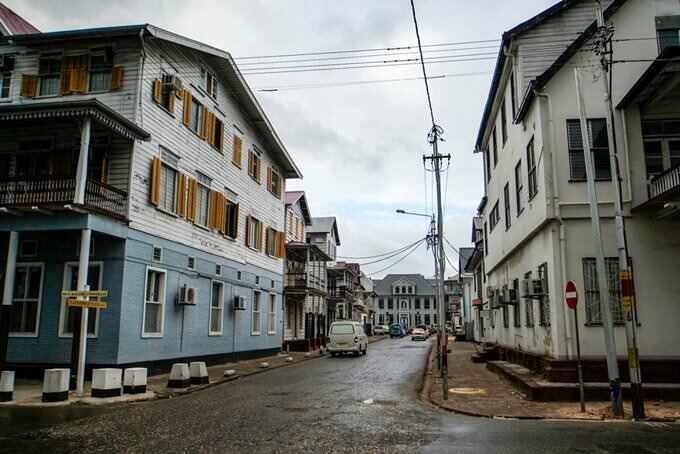 Nieuw Amsterdam is another popular tourist destination in Suriname. Back in the 18th century, the city was an important strategic point. Several protective facilities, which form a united architectural assembly, have survived till our days. The city is located on the bank of the River Suriname, and during the years of the World War II cannons were installed on its banks. The cannons stand on their original places even now and have become a kind of a monument. Little is known of the pre-colonial history of Suriname. When the lands were visited by the first Spanish colonizers, they were populated by the Caribs, Arawaks and Warao. The discoverers of the new lands were Spanish navigators, Alonso de Ojeda and Vicente Pinzon. 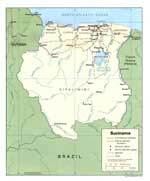 They boarded the coast of Suriname in 1499. In the 17th century, the English settlers started developing the lands. In 1667, England transferred its right of controlling the lands to the Netherlands. The Dutch colonizers formed several large cities. The main colonizers’ activity had been the cultivation of sugar cane plantations for 300 years. Slaves were transferred from neighboring African countries to work on vast plantations. When Europe ran its own sugar production in the 19th century, Suriname saw the period of the economic downturn. In 1863, slavery was abolished. As a consequence, local planters experienced a serious labor shortage. Suriname cultural sights. What to see? The beginning of the 20th century was marked by a huge number of immigrants coming from Asian countries to Suriname. At that time, the agricultural sphere was developed. Gold and bauxite deposits were found on the territory of the country. The country became partially autonomous from the Netherlands in 1954. 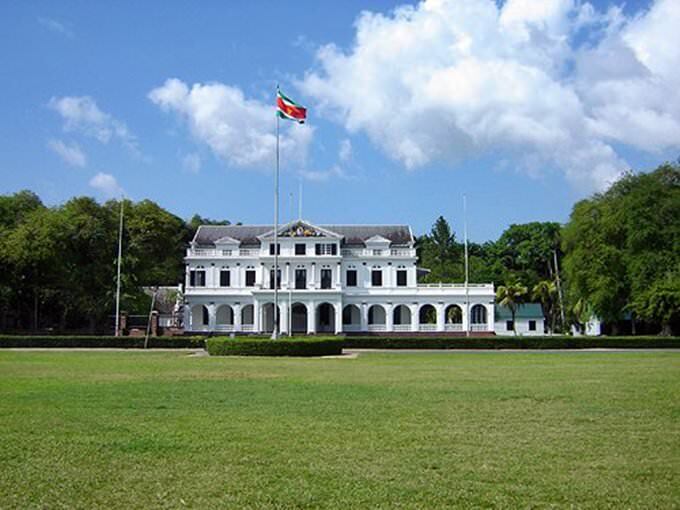 Suriname gained the complete independence in 1975. For many travelers, Suriname is an exotic country because of its special cultural traditions. Many holidays celebrated by local residents were first held in the colonial times. 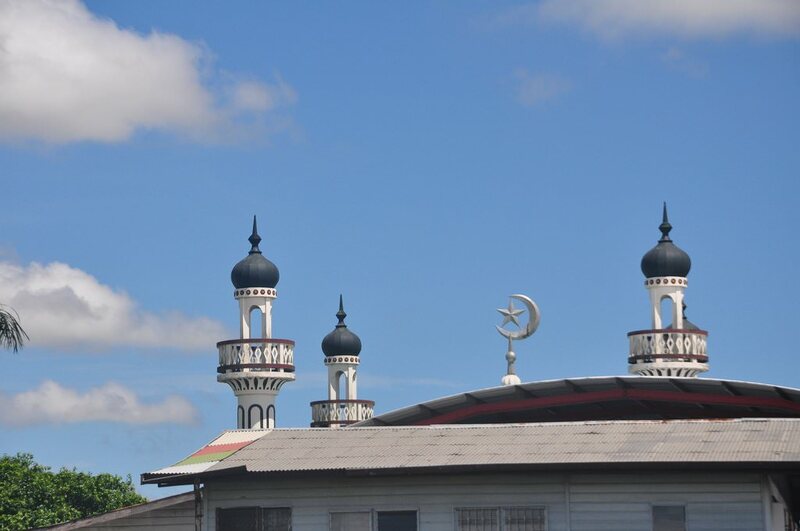 It is very interesting to visit Paramaribo before Easter. At this time, the grand Avond Vierdaagse parade is held. One of the greatest and most interesting festivals is usually organized before the New Year. Holidays known as Surifesta start to be celebrated in December and come to an end in mid-January. Travelers should also pay their attention to the local food. The foundation of the national cuisine is seafood, seasonal fruit and vegetables. One of the most popular dishes is chicken and vegetables. A more exotic delicacy is Bakbana – roasted plantain leaves served with nut sauce. 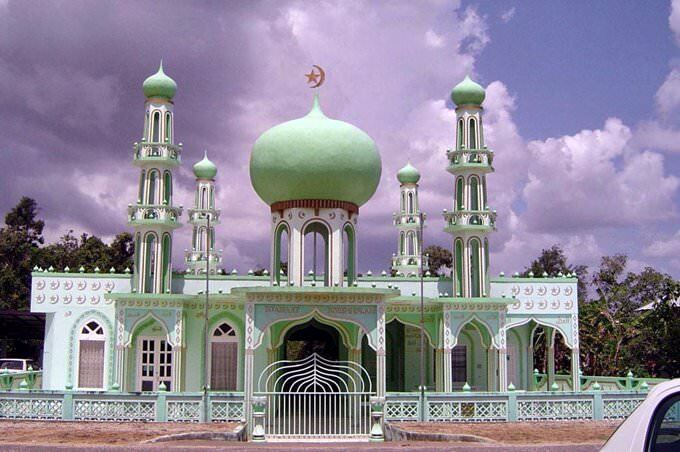 This article about iconic landmarks and sights of Suriname is protected by the copyright law. You can re-use the content, but only under the condition of placement of an active link to www.orangesmile.com.